Leave your misconceptions at the door when it comes to Rosborough. Here you’ll find none of the twee or comfortable affectations that come with so many of his guitar-slung solo peers. Loaded with an alternative grit but lifted by soaring, universal and cinematic soundscapes, Rosborough shares far more of the the sound and spirit of the likes of Jeff Buckley, early Suede and peak Radiohead than he does with his other male solo contemporaries. Nothing is contrived for Rosborough. From his musical childhood and cutting his teeth in the vibrant but isolated scene of his hometown in Derry, to landing a deal with Ignition Records and garnering acclaim and radioplay for his lush debut single ‘Burn Blue’, his every move has been driven by his love for music alone. No wonder that in just three months, he’s become one of Ireland’s fastest rising stars. Authenticity comes effortlessly when this is the only thing you were born to do. Now signed to Ignition Records, Rosborough has been lighting up the airwaves and charming over the press in his native Ireland. “Jaw dropping” was how Ulster’s Daily Mirror described ‘Burn Blue’, before naming it as their No.1 track of 2017. As well as winning airplay and support from every major Irish network and stunning the Other Voices festival alongside Loyle Carner and Django Django, in just three months he’s set hearts and minds ablaze in his home country. Now, he now sets his sights on the rest of the world. Having previously hit the road with Mew, DMAs and Seafret, he kicked off 2018 with a quick Irish victory lap of select dates before warming up for a summer of festival madness with an upcoming UK tour with Neon Waltz – and by dropping his debut UK single ‘Another Lesson’. 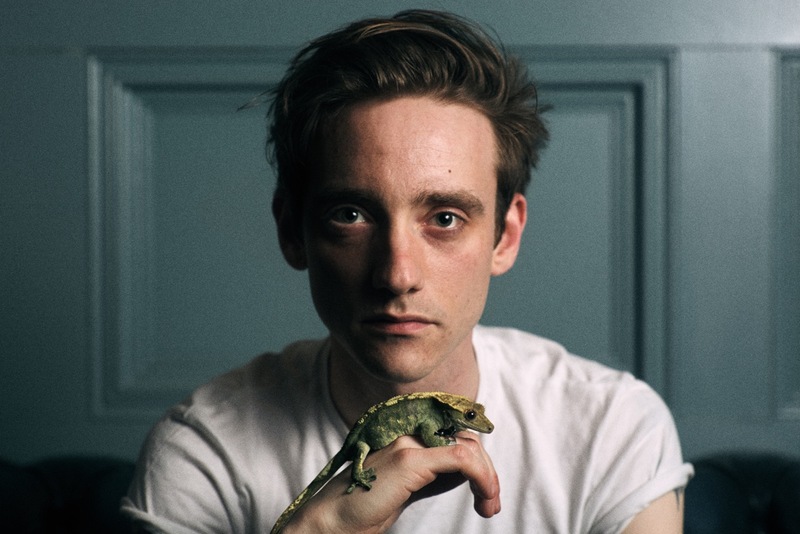 It’s the perfect song to launch him, as it contains all the cinematic, multi-instrumental grace that makes Rosborough so arresting, as well his knack of “that surge where excitement meets anxiety”. On stage, his energy is unparalleled (constantly “pushing himself to the point where it hurts” to embody the song), but he’s just as home in the studio. So much so, that his debut album should hopefully be upon us very soon. If there’s any justice in the world, it’ll be a landmark record that sits his name alongside the alternative legends who inspired him.